Ah another day to meet up with your friends and crack open a cold one. What are we celebrating this time? International Beer Day (IBD) of course! As the beer industry in the United States continues to grow and house over 6,300 breweries, we can only safely assume that Americans across the country will be partaking in this holiday this year. Gathering with friends and enjoy the deliciousness that is beer. Celebrating the dedicated men and women who brew and serve our beer. Bringing the world together by celebrating the beers of all nations and cultures on this remarkable day. IBD recommends celebrating this day with friends. Going out to your favorite bar, thanking and sharing a drink with your appreciated brewers and bartenders. They also suggest trying a new beer from different cultures. It’s a big beer world out there full of wondrous new flavors. Be adventurous, try something new on International Beer Day! The Brewers Association tells us that there were over 6,300 breweries in the U.S. in 2017. This is up 257% from the number of breweries in 2012, 2,475. Which cities are contributing the most to the rapidly expanding industry? 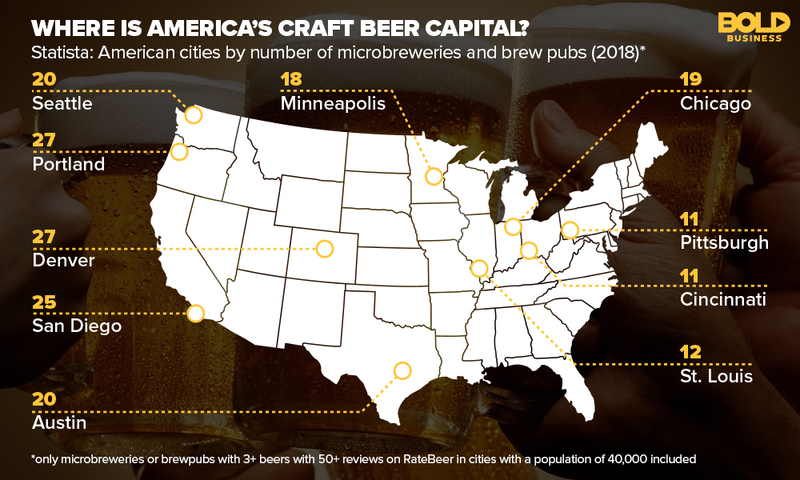 Using Russel Goldenberg’s chart for the cities with the best brewing industry, we examined the top 8 cities based on quality (60%) and quantity (40%), microbreweries and brewhubs not included. Sporting 25 breweries and another 105 microbreweries and brewpubs, San Diego is the best brewing city in the U.S. AleSmith Brewing Company, Green Flash Brewing Company, Societe Brewing Company and Pizza Port can all be found in San Diego. These are home to some of the best brews in the Country. The city is also home to the San Diego Beer Week, a 10-day celebration that features over 130 independent craft breweries in San Diego County. Not only is Denver home to the most breweries out of all U.S. cities, it also features some of the best beers in the country. The city boasts a total of 72 breweries and microbreweries including Great Divide Brewing Company, Crooked Stave and the Hogshead Brewery. 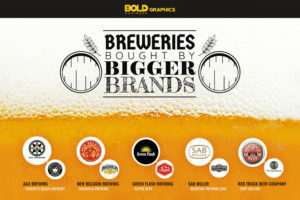 And if you can’t satisfy your beer thirst in Denver, a quick drive to Boulder (Avery) or Fort Collins (New Belgium) will also offer you another great beer experience. In 2016 the entire state of Oregon had an economic impact of $4.49 billion, so it comes to no surprise that Portland, home to 27 breweries, made this list. Portland is another city that hosts an annual beer festival, the Oregon Brewers Festival. Portland features big name breweries like Hair of the Dog Brewing Company, Great Notion Brewing, Upright Brewing and Gigantic Brewing Co. While Santa Rosa may only be home to 12 breweries, they are among the best quality in the U.S. The Santa Rosa area has always been well known for its wine, however it has also become a hub for craft beer as well. 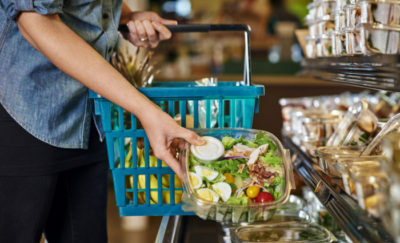 Given the title of Microbrew Capital of the United States, the city features Russian River Brewing, Bear Republic Brewing Company, Shady Oak Barrel House and Moonlight Brewing Company. Minneapolis is host to 18 breweries. The city also hosts the annual Minnesota Craft Beer Festival in April. The biggest breweries in Minneapolis are Surly Brewing Company, Steel toe Brewing Company and Dangerous Man Brewing Company. Portland has one of the densest populations of breweries. The 18 breweries and small population mean that there is approximately 1 brewery for 3,900 residents. SmartAsset even ranked Portland as the 2nd best city for beer drinkers in 2017. The city is home to Maine Beer Company, Bissell Brothers Brewing Company, Allagash Brewing Company and Oxbow Brewing Company. While Chicago may only sport 19 breweries, it is host to another 131 microbreweries and brewhubs. In fact, Chicago is emerging as the craft beer capital of the U.S. The city hosts the Chicago Beer Festival where its largest breweries, Pipeworks Brewing Company, Half Acre Beer Company and Spiteful Brewing go to their Ale. 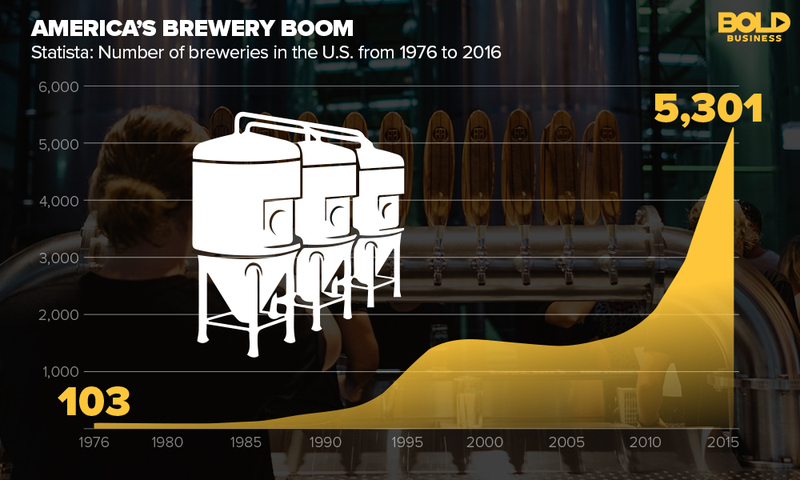 The business of beer is growing exponentially across the United States and the world as smaller breweries are making larger impacts on society, our social habits and taste buds. AT&T and Time Warner Merger – What Large Media Deals May Follow?